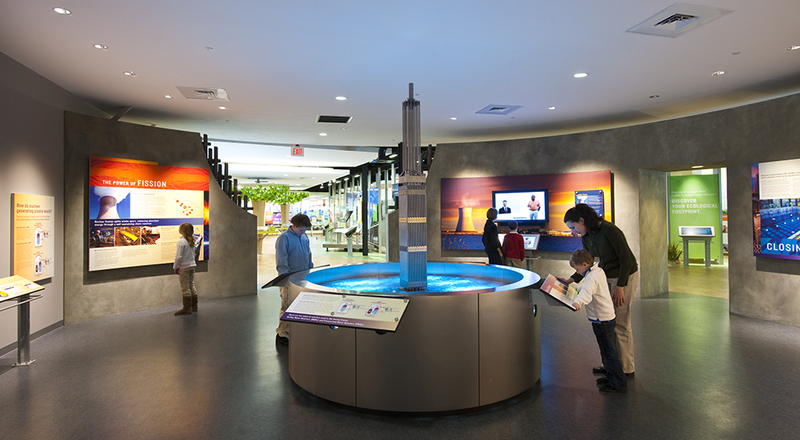 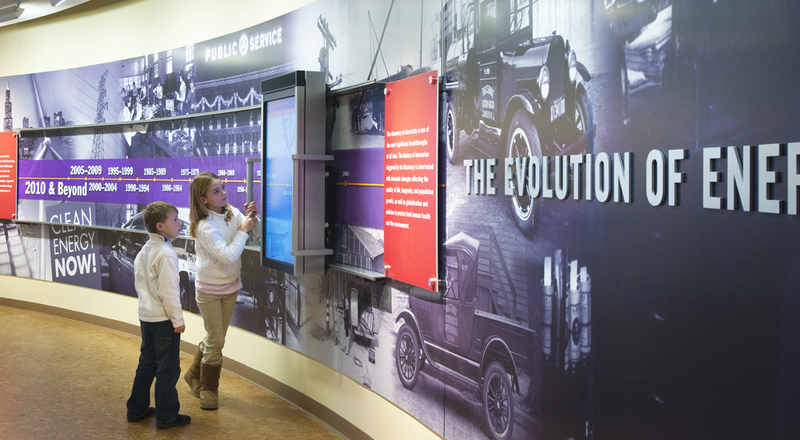 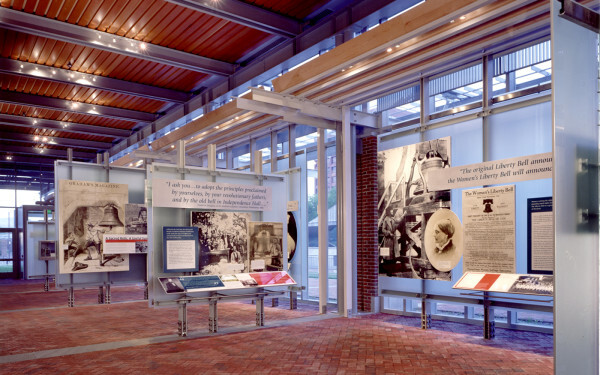 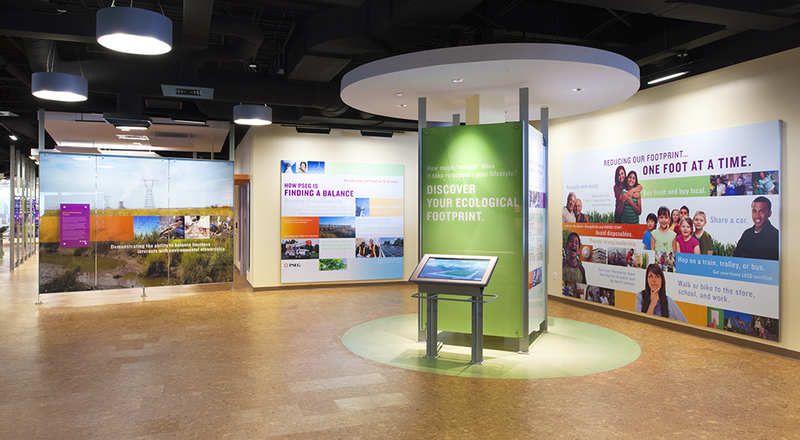 The EERC represents a new generation of energy-focused visitor centers and examines the challenge of satisfying the nation’s energy-dependent lifestyle while preserving natural resources. 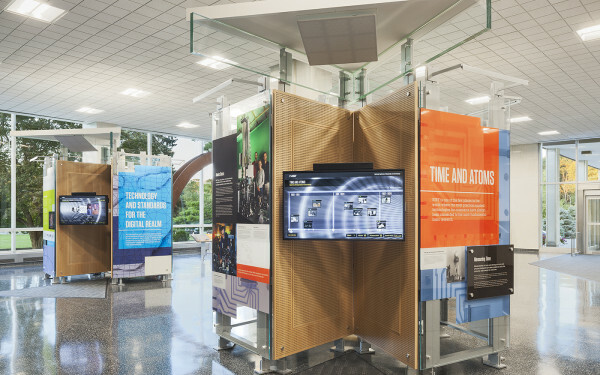 Due to the amount and complexity of the information and the diverse audience, the exhibits are layered and carefully paced with multi-media and manual interactives. 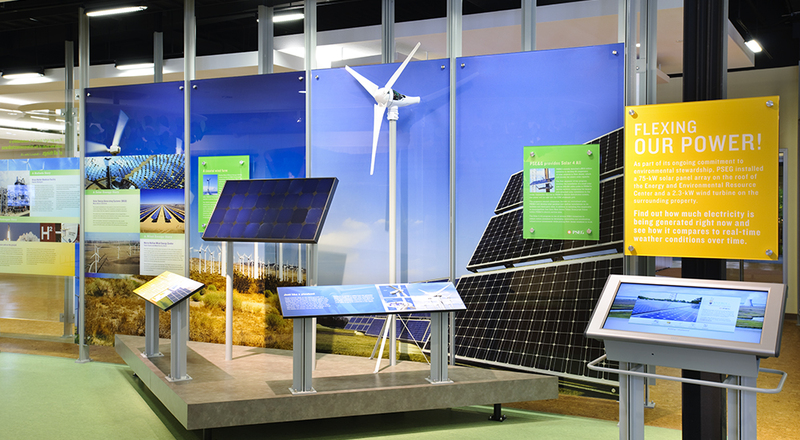 A real-time Building Monitoring Station allows visitors to examine the performance of the on-site wind turbine and solar array that supply power to the EERC. 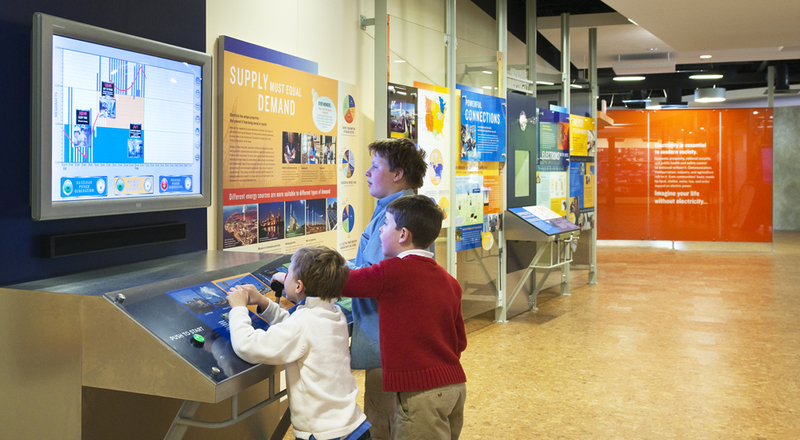 Visitors can also calculate their Carbon Footprint and discover ways to improve their impact on the Earth and its resources. 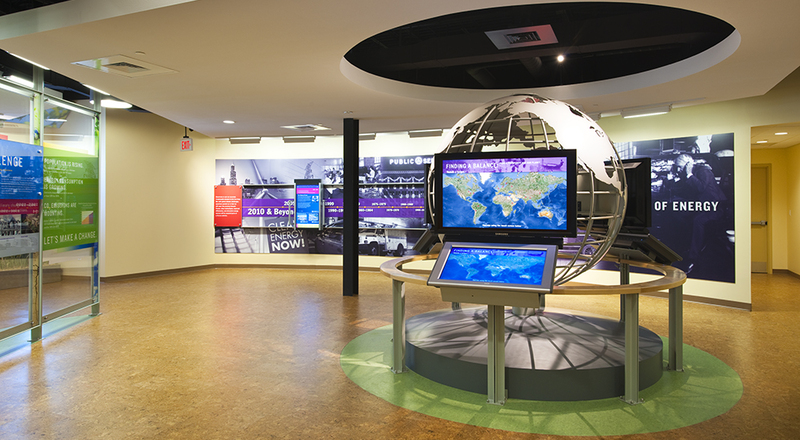 A 6-foot sculptural globe interactive presents documentary video and news reports that underscore the interconnectedness of ecosystems—locally, nationally, and internationally. 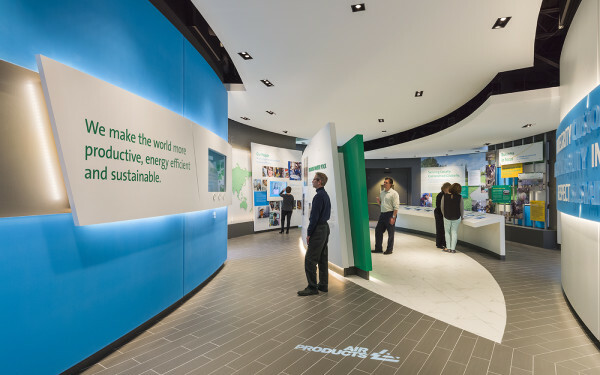 PSEG adopted the principles of sustainable design at the outset of the project to demonstrate the company’s commitment to sustainability. 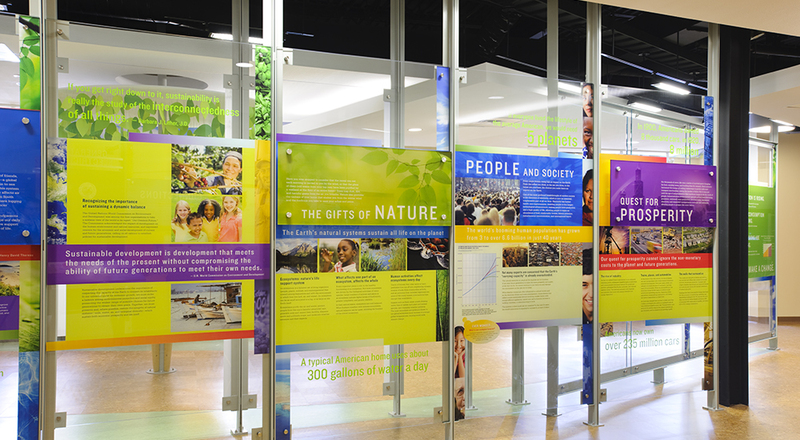 Green strategies include: reusing a nuclear training facility instead of building anew; diverting 94% of the on-site construction debris from the waste stream; integrating FSC-certified wood, regionally-fabricated products, and rapidly-renewable materials; minimizing the use of halogen lighting; specifying ENERGY STAR® qualified equipment; and designing a minimal, flexible display system to limit the amount of material resources used.